KATHMANDU, May 14: The ruling CPN-UML has taken strong exception to the remark by an Indian parliamentarian who last week said that Janakpur should be made part of India and urged Indian Prime Minister Narendra Modi to take back the historical town from Nepal. On Friday, Kirti Azad, a parliamentarian from Bihar and also a former cricketer, in a Twitter post said that the British had 200 years ago given Janakpur to Nepal and urged Indian Prime Minister Modi to take the city back and form a unified Mithila state. The remarks, which came amid Modi’s Janakpur visit, had immediately drawn widespread condemnation from the Nepali public and the media. In a strongly-worded statement, UML described Azad’s remark as an attack on Nepal’s sovereignty, territorial integrity and prestige. The party said that such remark by a person holding a responsible position had undermined Nepal’s sovereignty, integrity and independence. The party also said that the remarks on Nepal’s sovereignty made by the Indian prime minister during his visit last week have proven Azad’s statement false. The main opposition Nepali Congress has also denounced the remarks and demanded answer from Prime Minister KP Oli. Nepali Congress Dhanusha district chapter president on Sunday said that the party would raise the incendiary tweet issue in both the provincial assembly and federal parliament. 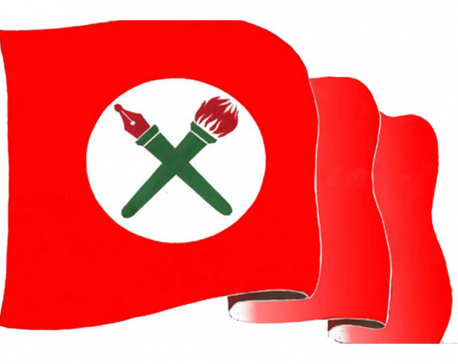 The CPN (Maoist Center), the junior partner in the ruling coalition, has already condemned the Indian parliamentarian’s statement saying that such baseless claims could hamper ties between the two neighbors.